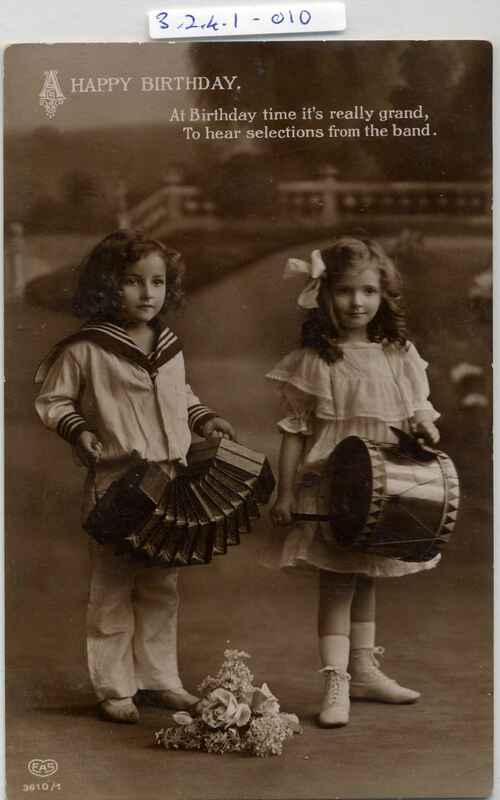 Full Description: A German photo-cards of two girls, one with large Anglo-German concertina, and one with drum. Birthday greeting and Stamp “EaS 3610” to front. Divided rear, sent Mar 13th 1913. Stamped in UK. Maker’s details ”E A Schwartleiger & Co London EC, printed at their works in Berlin”.